Are you looking for a place where you can switch up your traditional retreat and do something unique? Tired of the same hotel conference retreat setting? Tyler Hill is that place. 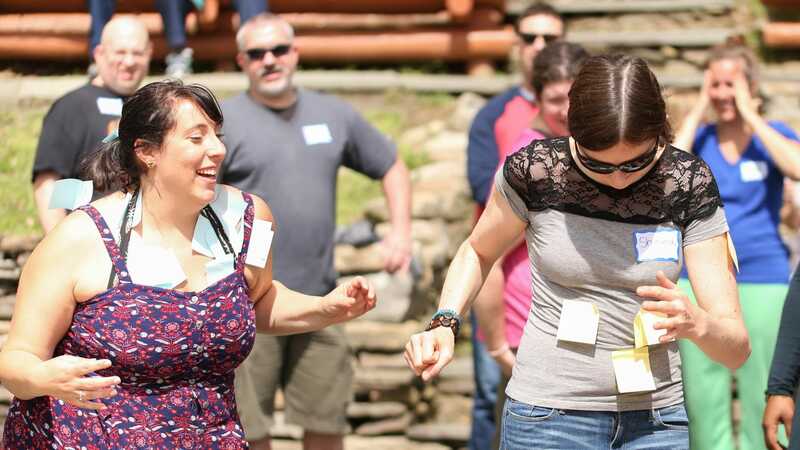 Our retreat groups escape to our scenic and natural setting because it helps bring them closer together, create team camaraderie, and focus on accomplishing their most key goals. Our event liaison will collaborate with your event planner or planners to make sure that we create and environment where your group members can leave our camp gates proud of what they completed during your event. Our facility offers a variety of spaces and resources for creative break-out sessions, campfire chats, and team-building with all of our fun camp activities just steps away when your guests need to take a break from the hard work and get refreshed and re-energized. Whether your event lasts just a day, a few nights, or a whole week, your guests are sure to leave camp feeling closer to their goals and each other. Tyler Hill has seven large indoor meeting facilities with breakout rooms, including our dining room and theater building. We also have Audio/Visual equipment available for use at no additional cost. Our experienced chefs at Tyler Hill serve hearty plates of comfort food to complement our rustic country setting. They personally craft every menu with your feedback in mind, from lakeside outdoor barbecues to more formal celebration dinners in our dining hall. They always aim to offer you and your group a menu that meets all of your expectations and is loaded with delicious flavors. Our dining room offers ample dining space for even large groups and beautiful views overlooking the campus and surrounding lakes. To learn more about hosting a private event at Tyler Hill or to schedule a tour, please contact our private events liaison at 516.656.4220 or via e-mail at info@tylerhillcamp.com or fill out our Contact Us form. We will be in touch right away!